For Christmas I received a Vitamix blender, something I’ve coveted for years. What makes it so special is a motor that is designed like a jet engine with the power to liquefy almost anything. So for the past month, I get up in the morning and drink the majority of fruits and vegetables required for the day in one glassful. It’s emerald green and delicious. Here’s how I do it. 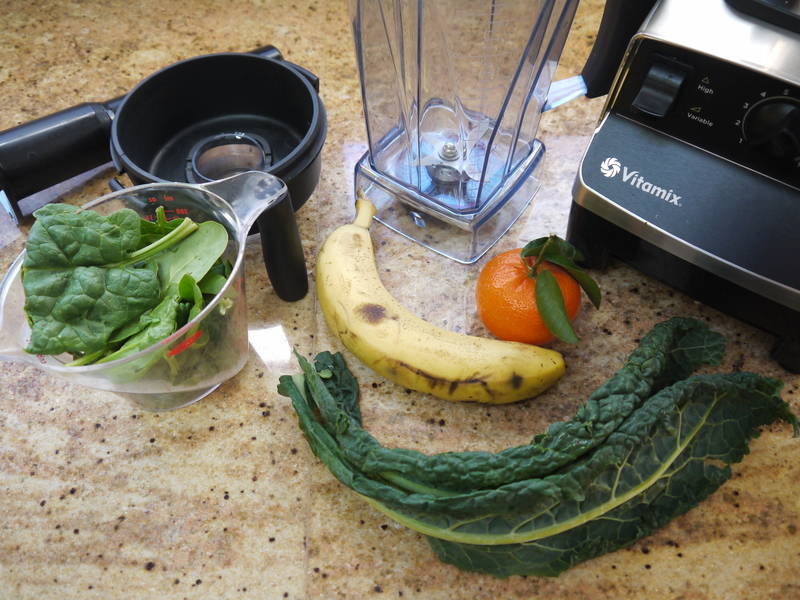 First put washed Tuscan kale leaves (1 1/2 packed cups, including stems) and a peeled banana in the bottom of the blender jar. 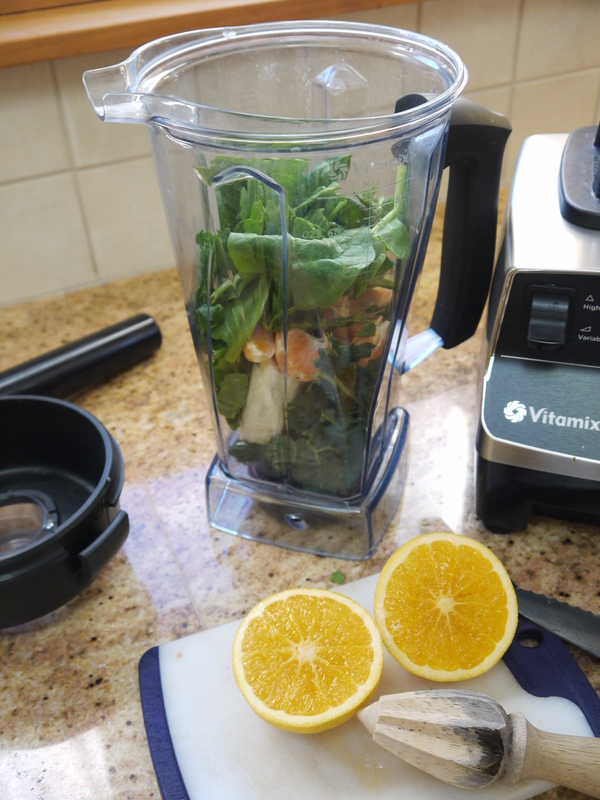 Next add a peeled tangerine and washed spinach leaves (1 1/2 packed cups). Finally squeeze in the juice of one fresh orange. 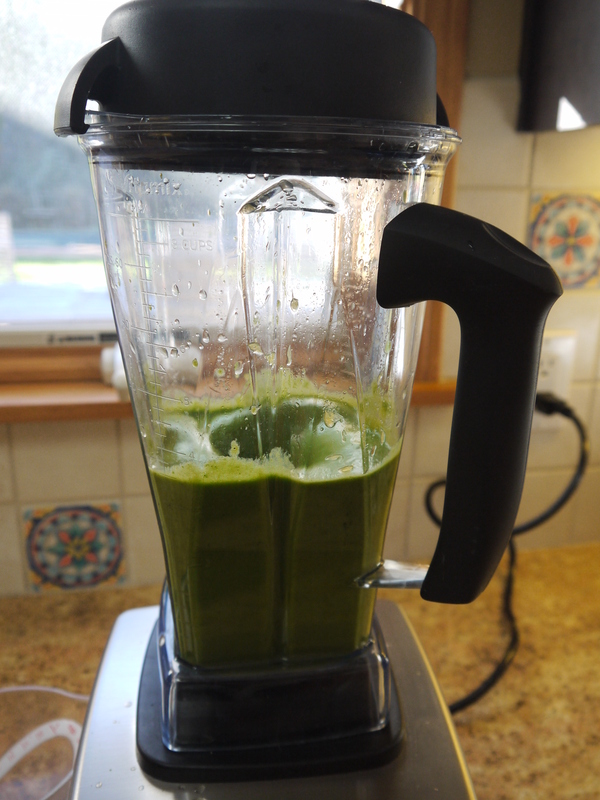 Turn on the Vitamix and slowly increase speed to variable 10 and then onto high, using the tamper to push the ingredients into the blade if necessary. At this point, the machine sounds like it is a jet taking off down the runway. As the solids turn into liquid, add five ice cubes and continue blending for 30 seconds until desired consistency is reached. This recipe is just a blank slate that can be customized to what’s fresh, seasonal and in the kitchen and garden. 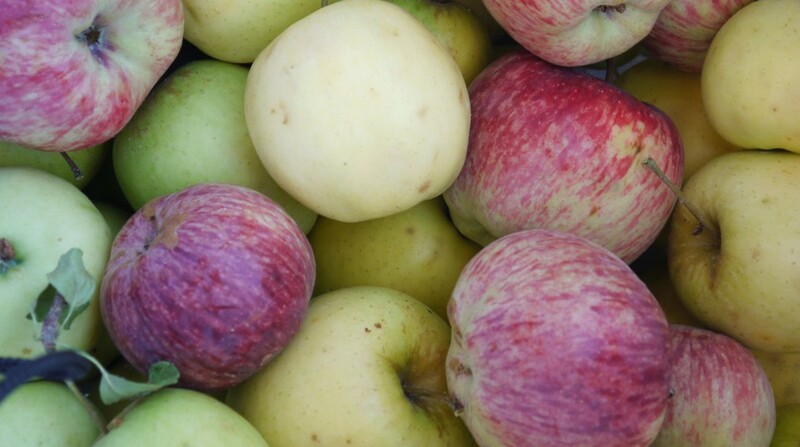 Sometimes I add a whole, cored apple and some fresh ginger. Other times I use coconut water instead of orange juice and some dried coconut or fresh pineapple and mango chunks. Protein powder, almonds or walnuts, Swiss chard, beet greens, fresh mint or parsley, cucumber, lemon juice, carrot juice – I mean really, the sky’s the limit. 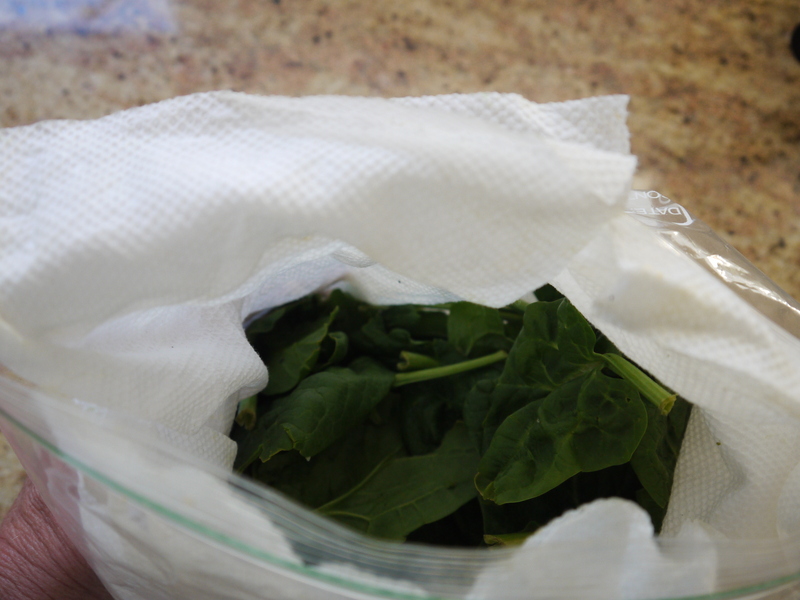 To streamline the whole morning process, I shop for greens and ingredients at the farmers market on the weekend then wash and spin dry all the greens, wrap in paper towels and store in ziplock bags in the fridge. With this task done, putting the smoothie together is a snap. Using a regular blender probably won’t liquefy everything into as creamy and delectable a drink as the Vitamix but there are lesser expensive super blenders that may be almost as good. On the other hand, you could try this recipe with your regular blender but chop all the ingredients finely before blending. 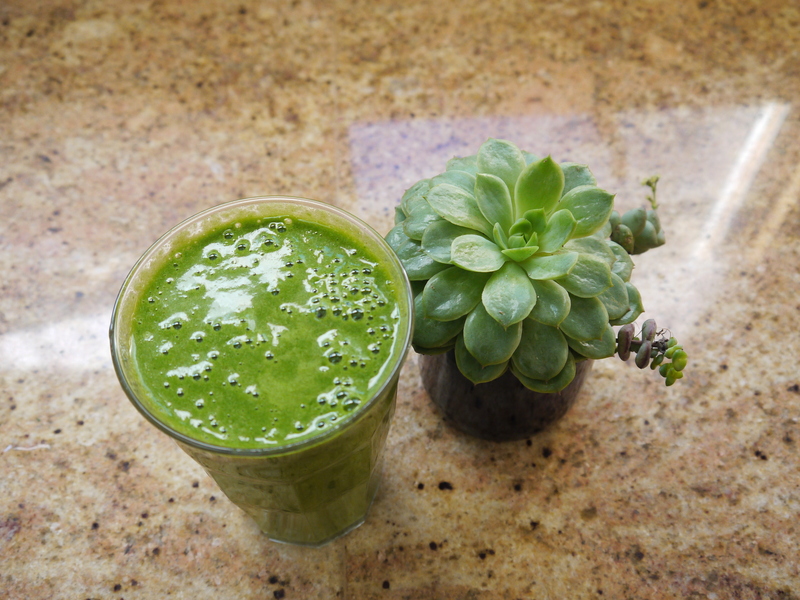 Having green smoothies each morning has been a revelation. It is surprisingly filling and keeps me sated until lunch. I feel healthy and satisfied that I’m eating clean food (at least at one meal) and getting a good dose of fruits and vegetables each day. Puts a smile on my face! 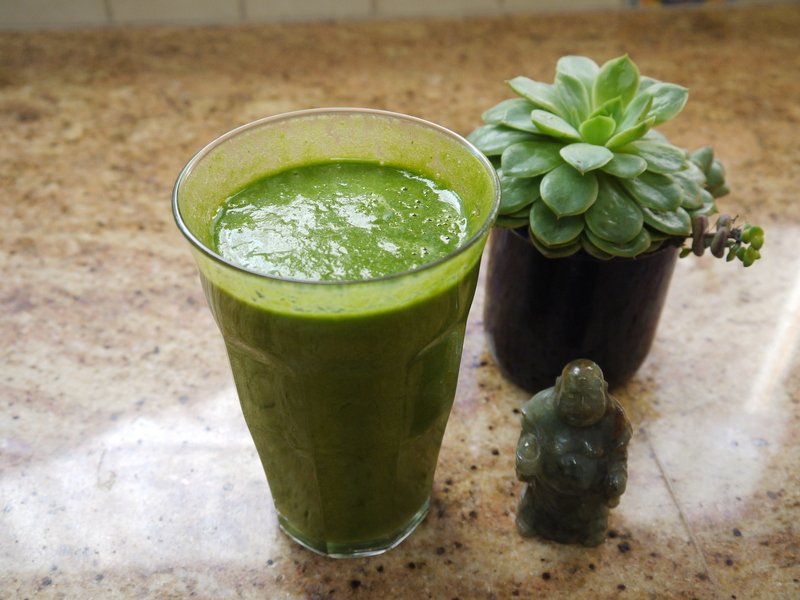 This entry was posted in Uncategorized and tagged banana, green smoothies, kale, smoothies, Vitamix. Bookmark the permalink.